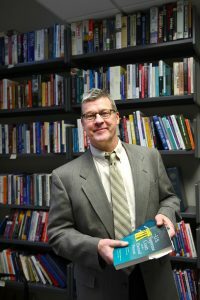 Dr. David Ryden, professor of political science and chair of the department, is an oft-sought-after national expert on the Supreme Court and the presidency. His scholarship on the topic has been cited on CNN, in The Christian Science Monitor, U.S. News and World Report, and The New York Times. He is also the author of The Supreme Court and the Electoral College. Supreme Court Justices are Neither Republican or Democrat. Politicizing a Supreme Court pick is inevitable. This is not a transformative appointment to the Supreme Court. Remember that the Supreme Court is anti-majoritarian in nature. What might be a Democratic response to the nominee? “Democrats could try to simply vigorously oppose Trump’s pick on the nominee’s merits. They could try to pick off a few moderate Republicans to vote their way. The problem is that there really aren’t many moderate Republicans left in the Senate. Moreover, it’s hard to see Republicans breaking rank on something this important. Populist or pedigree? This Supreme Court pick answers the question.